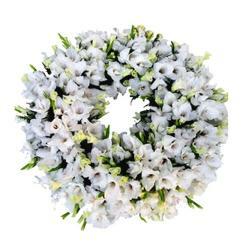 Decorative Colorful Wreath of 55 Mix Seasonal Flowers like Lilies, Roses and many more. Colorful wreath is usually made from spring blooms and evergreens and symbolizes strength, as evergreens last even throughout the harshest winters. Multi color wreath is useful in decor the home especially on Christmas occasion . Colorful colors of the wreath will bring warmth and comfort to your home. 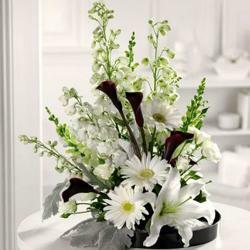 It will delight you and your guests and friends. 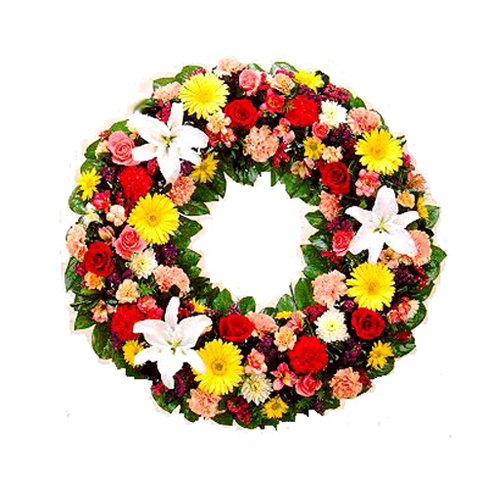 This wreath contains Fifty Five Mix Color Seasonal Flowers like Lilies, Roses and many more. Send this colorful wreath and give surprise your family on this Christmas or New Year. 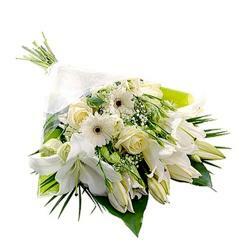 Place your order at giftacrossindia.com and get delivered this flowers to your special one door steps. 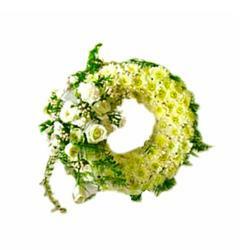 Product Details : Decorative Colorful Wreath of 55 Mix Seasonal Flowers like Lilies, Roses and many more.